The headquarter of Roma Imperiale srl, the young company which distributes the long known brand Nieri is in Quarrata, in the heart of Tuscany: a land of art and beauty. Born from the passion and creativity of Alberto Nieri the third generation after the founder Gino the brand Nieri is now a reality of global significance for the number of exports and for the undisputed quality of its lounges. The company is currently manages by the fourth generation of Nieri, being as a matter of fact a Family Business since 1929. Rarely indeed the story of a company, is identified so closely with the story of a family such as for Nieri. With the work of generations family Nieri has built, from nothing, a production which today has an international feel. The production units are concentrated where the technical, administrative and commercial control unit is that is all in Tuscany. All materials such as leather , fabric, wood and rubber come from Tuscany or the north of Italy. 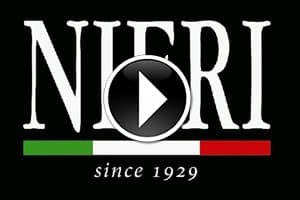 Nieri is nowadays exporting in over 62 countries in the world its high quality sofas and armchairs, all made with the best design and Italian style without compromises. 1929 the grandfather Gino, a young carpenter who is distinguished by excellent technical skills and for his original creations, began creating wooden structures for upholstered furniture. Learned the art of making chairs and sofas, Gino who designed and manufactured the pieces of furniture entirely on their own, managed to create exclusive furniture for originality, quality, style. In the 50s, his son, Mauro Nieri contributes to the expansion of the company with new energy and fresh ideas on the Italian market. In this way the tradition passed into the hands of the second generation. In the 70ies Mauro was joined, already at an early age, by his son Alberto, who also participates in the company's development also on the international scene by participating in the most important trade fairs and exhibitions therefore increasing export. In recent years Alberto received the helps of his brother Maurizio and his daughter Jessica whose managerial professionalism is expressed in remarkable successes in new markets from time to time chosen and attacked. Today at the fourth generation, the company is still carried out by the Nieri Family which with new globalized projects and through opening towards a younger audience is increasingly entering large and diverse market segments. The design Nieri is a process that involves love of form, comfort, quality. Each approved design is the result of careful studies and lengthy analysis. The production cycle begins with the cutting and the stitching of leather and fabrics, all carefully and strictly selected. The carpenters produce the frame with selected lumbers in "European sawmills" selected by the various responsible, directly coordinated by Maurizio Nieri. Once processed, the wooden frame are elegantly handled by master painters and collected in the various production centers for the assembly. Meanwhile, experts create stuffing pillows and backrests with technology and attention that can only be appreciated by sitting on an exclusive sofa Nieri. Industrial production is combined with the craft technique so the product obtained is unique and comparable to a true work of art. Upholsterers and assemblers create one by one the pieces of furniture combining leather, fabrics and rubber, taking care centimeter by centimeter every detail, giving shape, beauty and harmony to the composition. The result: a "unique piece" designed and studied in detail. Even the packaging, distinguishes the company from the "other" for attention, protection and safety: a Nieri Sofa deserves every care!